Keep your beard looking healthy and maintained with beard balm. Beard balm helps tame your beard giving it a finished look. Our balms are smooth and offer the right amount of oils to ensure your beard doesn't look greasy. 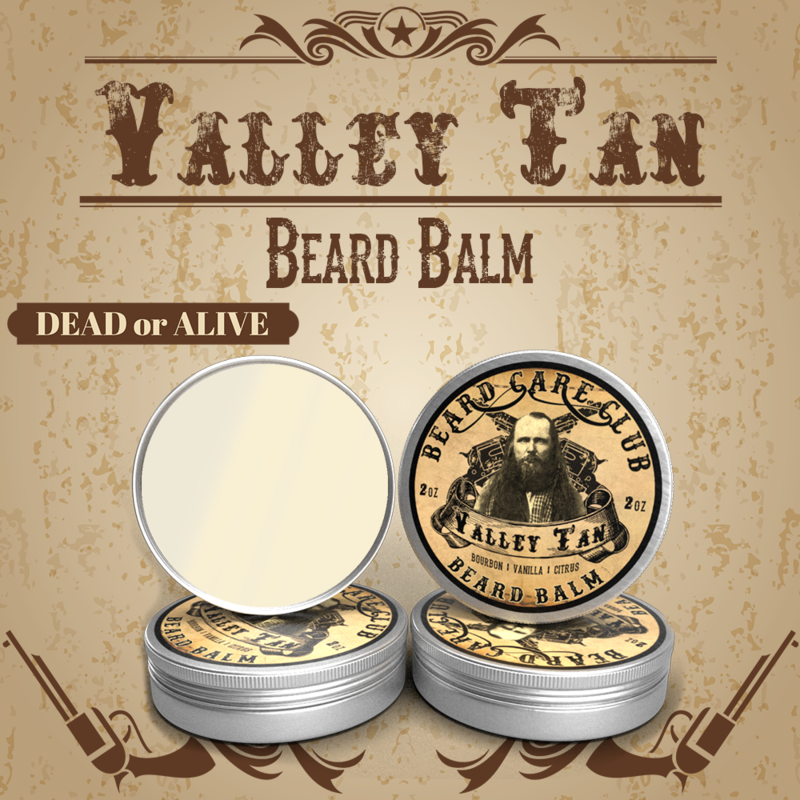 Our Valley Tan beard balm contains high quality oils, butters, and bees wax to seal in the moisture while giving your beard the hold you desire. Utah has many quirks and rumors about her, for example, "we all have 7 wives" (partially true, I have eleventeen), "you can't buy booze" (I'm drinking whiskey right.... meow), "everything is closed on Sunday", (FALSE... I buy beer on Sunday) and we like it that way, it keeps people out (well, that's a lie, all of California is moving to SLC)! However, there are a few things you can't deny, like... Utah is beaUTiful (so much so you can't spell it without UT), we have great skiing and snowboarding, we have even better 4 wheeling, our mountains are amazing and they are EVERYWHERE, we have amazing red rock canyons, lakes, fishing, hunting, blue skies, all 4 seasons, great communities, and we can open carry... which brings me to our new scent "Valley Tan". Mormon pioneers first came to the Salt Lake Valley on July 24th, 1847, so we're talking wild west here. Utah has had its fair share of cowboys, outlaws, and lawmen like Butch Cassidy and his gang, the "Wild Bunch", who used to hide out up at the Robber's Roost in Wayne County (not to far from where BCC is headquartered). But our favorite "character" around the shop is Orrin Porter Rockwell "The Destroying Angel". Porter Rockwell was basically a body guard for the big dogs in the LDS church. He was one of the first to be baptized in their faith and protected Joseph Smith and Brigham Young forcefully and violently making him the enemy of a number of groups who called for the expulsion of Mormons from Missouri. Anyway... this isn't meant to be a religious thesis just giving you a back story. On Christmas in 1843 Smith "blessed" Porter stating that he would not be harmed by bullet or blade as long as he did not cut his hair or beard (striking resemblance to the Israelite story of Samson) which led Rockwell to braid his hair over time. He did cut his hair once when he saw an elderly woman with typhoid fever (which left her bald) so he cut his hippy lettuce and made her a wig. After which he held up in his home until it grew back. Porter was known for his screaming war cry "WHEAT" as he launched in to battle. Rockwell is reputed to have killed many men as a gunfighter, as a religious enforcer, and as a Deputy Marshall. It's said that Porter once told a crowd listening to the U.S. Vice President Colfax in 1869, "I never killed anyone who didn't need killing". He's credited with killing more outlaws than Wyatt Earp, Bat Masterson, Doc Holliday, and Tom Horn combined. He was known as an expert marksman who carried multiple weapons with him, most notably, two large black powder revolvers which he could shoot simultaneously. He gained enormous notoriety through his many successes as a lawman and having never been touched by a bullet which prompted gunslingers to come to Utah to see if they could shoot down "The Destroying Angel". Lehi City court documents recorded an event on June 25th, 1873, "A young outlaw named Loren Dibble approached Porter Rockwell in broad daylight, drew two guns, and emptied them at him. According to onlookers, Rockwell simply stood still, staring directly back at Dibble, without even having his composure ruffled. When Dibble had fired all of twelve shots, Rockwell drew his own two revolvers and shot at Dibble’s feet, making the young outlaw "dance" to avoid being hit by each bullet. When Rockwell had emptied both of his own guns, he walked directly up to Dibble, grabbed him by his collar, and shook him like a rag doll. Rockwell yelled into Loren Dibble’s face, “If it wasn’t for the fact that I know who your father really was, I’d have killed you!” Rockwell threw him to the ground, and walked away. Few other outlaws were given the benefit of having their lives spared by Porter Rockwell. Rockwell was known to kill too soon, sometimes without sufficient justification for taking a life. But he [Porter Rockwell] was that most terrible instrument that can be handled by fanaticism; a powerful physical nature welded to a mind of very narrow perceptions, intense convictions, and changeless tenacity. In his build he was a gladiator; in his humor a Yankee lumberman; in his memory a Bourbon; in his vengeance an Indian. A strange mixture, only to be found on the American Continent. - Ludlow, Fitz Hugh (1870), The Heart of the Continent: a record of travel across the plains and in Oregon, with an examination of the Mormon principle, New York: Hurd & Houghton, p. 355. 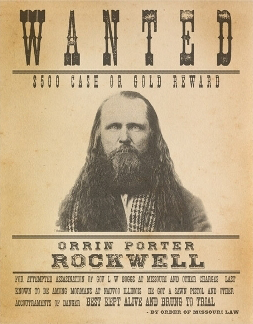 Porter Rockwell died in SLC, Utah Territory of natural causes on June 9th 1878. He was buried in the SLC Cemetery. His epitaph reads: He was brave and loyal to his faith. True to the Prophet Jos. Smith. A promise made him by the prophet. Through obedience it was fulfilled. So without further adieu, I present to you our version of Valley Tan! If it was good enough for Porter Rockwell, it's damn sure good enough for us! Valley Tan has a richness of warm vanilla paired with citrus and a warm blend of spicy Bourbon. These combined elements result in my favorite scent we have put out yet. Valley Tan is scented with: Vanilla Bean, Mandarin Oranges, Labdanum, Rose Absolute, Opopanax, Tobacco Absolute, Clary Sage, and Bourbon.